PEBBLE BEACH, CA (September 20, 2018) – Rooster Run GC member Jim Knoll already has his place in the NCGA record books as a record five-time winner of Senior Player of the Year honors. The now 66-year-old could end up making some more history. 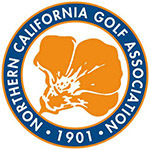 Knoll remained atop the leaderboard of this week’s NCGA Senior Championship on Thursday, posting his second straight 71 on a spectacular day at par-71 Poppy Hills Golf Course. Currently holding a one-shot lead over Morro Bay GC member Robert Funk, with a win Knoll would join Jim McMurtrey, Cornelius Bertolone and Kai Thomsen as the only players with at least three Senior titles. He’d also become one of the oldest players to win the Senior crown. Funk, who made the cut at this year’s U.S. Senior Open, also remained in a groove, carding a second round 72 for a two -day total of 143. Making moves up the leaderboard into third place and fourth place, respectively, were Rich Gleghorn and Jeff Britton, who tied for the day’s low round with 70. Funk is only two behind Knoll, while Britton is just three back. The cut (low 30 and ties) came at 17-over 159. Among those missing the cut were 2018 NCGA Senior Four-Ball co-champ Steve Donnelly (161) and Bakersfield resident Scott Anderson. Donnelly had opened with a 73. 2017 runner-up and defending NCGA Senior Player of the Year Randy Haag withdrew due to personal reasons.